Variety reports that producer James Wan and New Line Cinema are furiously attempting to input the buttons for “Find New Director” into the long-abandoned Mortal Kombat film franchise. (Their brother’s friend Todd swear’s it’s “Block, hold up, punch, down, call some agents,” but Todd always lies about stuff like that.) Commercial director Simon McQuoid is reportedly in talks to helm a new Mortal Kombat movie for the studio, a reboot of a film franchise which hasn’t had a movie in theaters since the self-inflicted Fatality of Mortal Kombat: Annihilation in 1997. 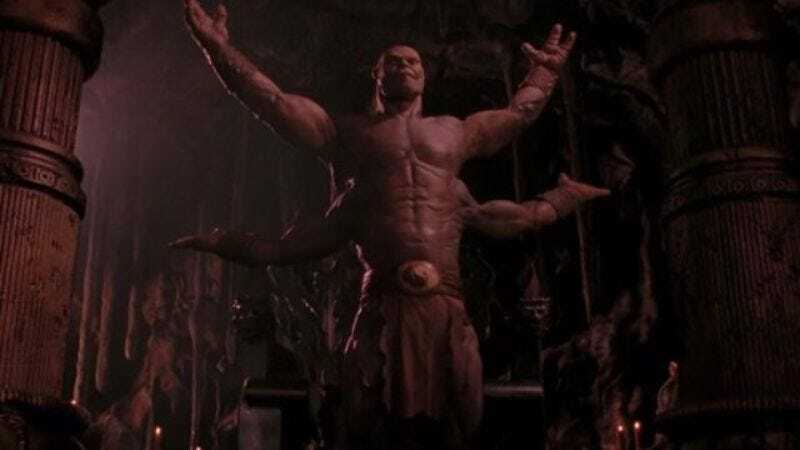 The original Mortal Kombat was a surprise success—at least, in the low-standards world of video-game-to-movie adaptations—making good money at the box office, and launching director Paul W. S. Anderson into a weirdly durable action movie career. Annihilation was a disappointment, though, and its lackluster results relegated the series to years of appearing as little more than TV shows, webseries, and also a bunch of video games. Playstation ‘Michael’ from Rogue Films on Vimeo. He’ll probably have to curtail that urge toward cuteness if Mortal Kombat manages to make it back to theaters again.